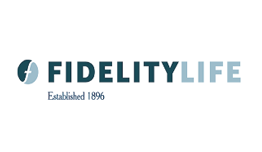 Fidelity and Guaranty Life Insurance Company – headquartered in Baltimore, Maryland – offers a diverse portfolio of annuities and life insurance products to help families and businesses achieve secure financial futures. Competitive rates and flexibility make Fidelity and Guaranty Life’s Term Trends policy ideal to meet a variety of financial needs. With Term Trends you can ensure that your spouse or children will continue the life you would like them to live without the burden of financial worries. With a minimum death benefit of $50,000, your Term Trends benefit can be used to pay off the mortgage, for example. Term Trends also is ideal for a variety of business needs- the benefit could be used as key-person insurance, safeguarding your business financially. Term Trends is a level premium product. If you choose a five-year term, for instance, your premiums will remain the same for five years. If you renew the policy, the premiums may increase, then remain level for the next five years. If you choose a 20-year Term Trends policy, your premiums will remain the same for 20 years, and then increase annually if you renew the policy. And you can renew your Term Trends policy until age 95.